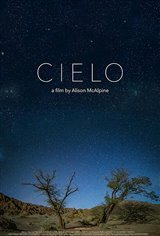 Cielo is a cinematic reverie on the crazy beauty of the night sky, as experienced in the Atacama Desert, Chile, one of the best places on our planet to explore and contemplate its splendour. Director Alison McAlpine’s sublime nonfiction film drifts between science and spirituality, the arid land, desert shores and lush galaxies, expanding the limits of our earthling imaginations. Planet Hunters in the Atacama's astronomical observatories and the desert dwellers who work the land and sea share their evocative visions of the stars and planets, their mythic stories and existential queries with remarkable openness and a contagious sense of wonder. A love poem for the night sky, Cielo transports us to a space, quiet and calm, within which we can ponder the infinite and unknown.